So I will do just that. 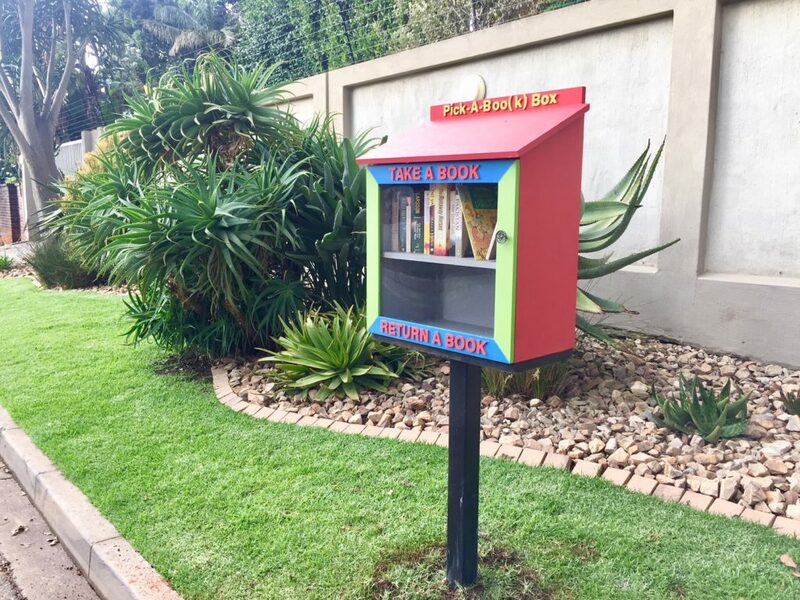 When I visited The Wilds a month or so ago, (recently upgraded and rejuvenated … read 2 Summer’s post) right next to the carpark was a fabulous public reading box encouraging readers to ‘Take a book Return a book’. 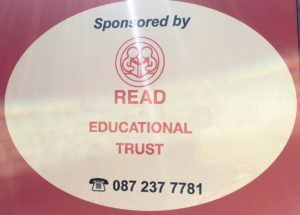 On the side were the details of Read Educational Trust which oversees Reading Matters. 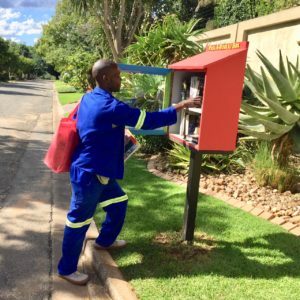 It was only a simple phone call and then the small detail of a bank payment and collection, before the guesthouse had its own community reading box on the pavement of Lancaster Ave Craighall Park. In 1979, only one of the 50 high schools in Soweto had any books in its library. And this situation was common throughout the country. Many teachers were undertrained and inexperienced in using books and relied on learning by rote, a practice which limits comprehension and independent critical thinking. READ has had a far-reaching impact. 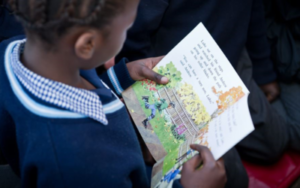 Evaluations show that READ programmes accelerate learner achievement by two grade levels in reading, and four grade levels in writing. This is a remarkable statistic. Stay at our well located Guest House and experience Liz at Lancaster’s Community Lending Library. View our Craighall Guest House for Rates and Availability! 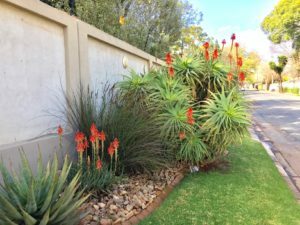 I have wanted to do some kind of community initiative for a long long time, something that could in some way counteract the alienating effects of high walls and electric fences. 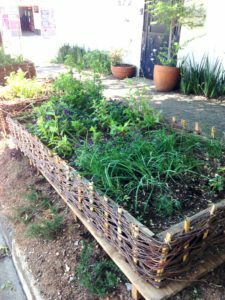 While I toyed with the idea of a community vegetable garden on the pavement, I realized that it was not very practical as a guesthouse owner because, to keep it planted-up and tidy, requires a huge amount of time, effort, work and most importantly water. Plus we get so many compliments about our current water-wise pavement. So I was delighted when I came across the Pick-A-Boo(k) Box. Derek Smith of Reading Matters could not have been more helpful and supportive in arranging the making and collection of the box. And there’s been such positive response from the neighbourhood with the kid’s books having proved to be especially popular. Derek said that often they don’t get returned but Reading Matters is fine with that because, in a society which is not book-rich, the more books that get circulated at a young age the better. And while I have been raiding second-hand bookshops, he has offered to let me have a stock of books from Reading Matters. What a win-win situation. So any books that you have which you or your children or grandchildren have really enjoyed reading, please think of Liz at Lancaster’s small public lending library! This is such a wonderful initiative. I trust it’s thriving and – hopefully – being replicated across the city.